The “Iliou Melathron” is located in downtown Athens and it was built in 1878-1879 and designed by the German architect Ernst Ziller, as the residence of the Schliemann family. Its name, meaning the “Palace of Troy”, was associated with the discovery of the ancient city by Heinrich Schliemann. 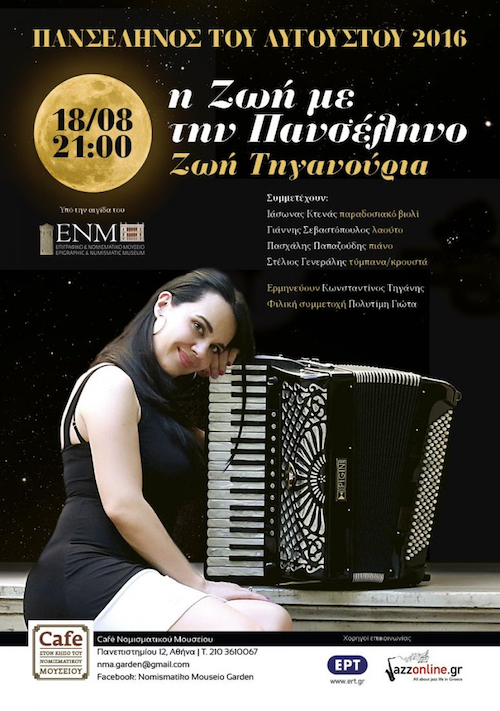 Under the August’s Full Moon, Thursday 18th, the known composer, accordionist and performer, with her unique personal style alongside many astonishing artists, gives a concert with Greek and Mediterranean aromas in the yard of the Numismatic Museum (Iliou Melathron).